This week we are not only crossing borders, we are crossing water. Firstly we are heading back to Telford for VII Pro Wrestling. Then we head across the Irish Sea to Dublin for Over The Top Wrestling before finally travelling to London for another sold out PROGRESS Wrestling event, Let's get Ready For The Weekend! Kicking off the weekend and VII Pro Wrestling shall be hosting their 'Final Inception' event at the Dawley Town Hall in Telford. The show will see the first VIIth Heaven Ladder match with Pete Dunne, Morgan Webster, Nixon Newell, Dan Moloney and Chris Ridgeway all in the ring at the same time with the goal of reaching the contract hanging over the ring which shall allow the winner to choose any championship match, at any time of their choosing. All five competitors would be worthy challengers to any championship. But only the one who wants it most will walk away with the contract. Back in November 2015, VII Pro Wrestling held their trifecta trophy tournament which saw The Bruiserweights and The YOLO Squad meet as part of the final. Well since then, these two teams have had on-going issues. The next chapter of their saga looks set to take place this Friday when The Bruiserweights' CJ Banks and Wild Boar will face Ethan Silver & Drew Parker of YOLO Squad. This feud has been back and forth for almost six months. Something has got to give at some point. It might be this Friday in Telford. 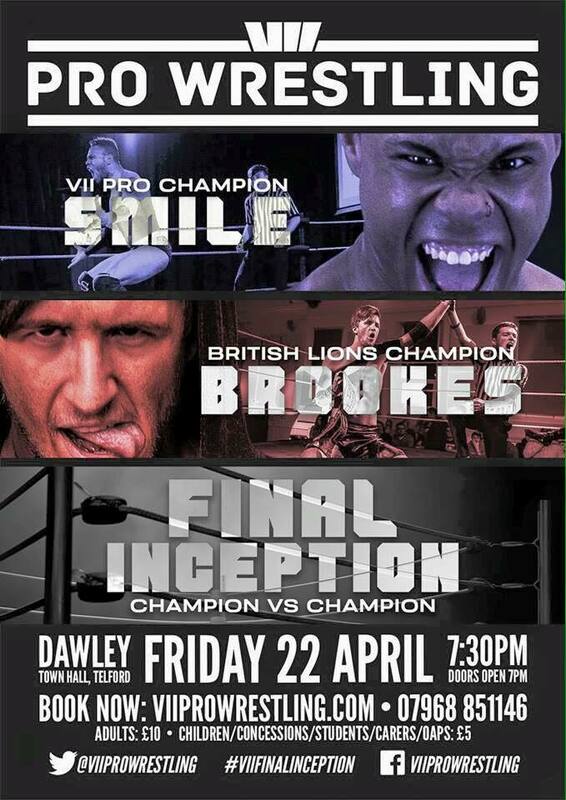 The main event for April 22nd shall see the VII Pro Champion and British Lions Champion meet one on one. Ryan Smile and Chris Brookes are the top two in VII Pro Wrestling even if their paths to get there have been very different. Smile has taken on all challenges and walked out with his head held high. Brookes on the other hand has resorted to doing anything he can to ensure he remains champion. While no titles will be on the line this Friday, the bragging rights to claim you are the top champion is worthy almost as much. Moving on to Saturday and we turn our attention to not only a promotion we've never covered but also a country we've never featured before. 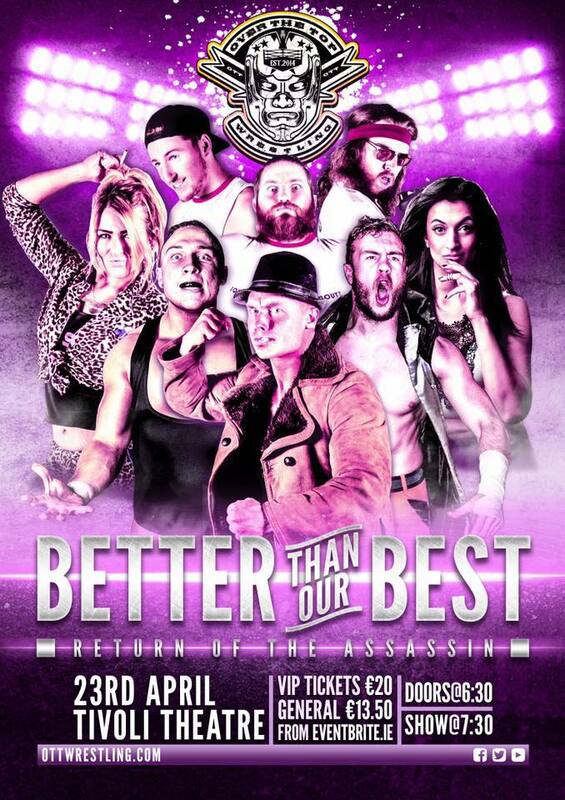 On April 23rd, Over The Top Wrestling are that their home of the Tivoli Theatre in Dublin with 'Better Than Our Best: Return Of The Assassin'. The main event for the evening shall see Ryan Smile and Will Ospreay make their tag team debut. They demanded that they face the best that OTT can give them and they certainly get their wish as they'll be facing Pete Dunne and the OTT No Limits Champion; Luther Ward. While Dunne and Ward may be the very best in OTT, they are not the best of friends as they have been fighting for the Championship in recent times after Dunne turned on Ward in a previous match. We'll need to see if they can work together once again to face a team looking to make immediate impact in Dublin. A number of months ago, Gerry Humperdink told Justin Shape that if he and his fellow Gymnasties team-mates could win three matches in a row then they would be granted a championship match. They have so far won two matches. The third match could well be the toughest though as Shape shall be facing Dunkan Disorderly who is on a winning streak right now. Not only will The Gymnasties' championship opportunity disappear if Justin Shape loses but so will Shape's beard as it has been confirmed that will be on the line as well this Saturday. At OTT's last event, Jinny made her debut with a a win against Martina. Now the loss would have been bad enough for Martina except Jinny didn't stop there and took it upon herself to ridicule not only her opponent by everyone in attendance. Now Martina wants some sort of retribution. So she has called upon her friend, Nixon Newell who shall join her to face Jinny and the returning Katey Harvey. Jinny will no doubt be looking to repeat her win from March against Martina. However she may have a small issue in the fact that Katey Harvey has made it known that she's out to prove she's the most dominant female in Ireland. And that might not sit well will Jinny. Finally we wrap up the wrestling weekend with another sold out show for PROGRESS Wrestling at the Electric Ballroom in London. PROGRESS always deliver on their events and this one shall be no different. It'll also be rather special as this show will feature two qualifying matches for the WWE Global Cruiserweight Series which shall be airing on the WWE Network later this year. The first qualifying match will see Zack Sabre Jr face Flash Morgan Webster while Jack Gallagher shall face Pete Dunne in the second contest. Both matches would be a perfect fit for PROGRESS Wrestling regardless of their major meaning for the winners. This Sunday shall also see the continuation of the Atlas Championship tournament for PROGRESS' brand-new championship. The tournament is a round-robin style with two groups of four men. The winner of each group will meet in the final for the championship. The two matches that are kicking of Group B give us a glimpse of the calibre of matches we are going to see over the next few months with Joe Coffey and Rampage Brown going one on one while Michael Dante faces Damo O'Connor on April 23rd. The person who does eventually win this championship is going to have earned every piece of it. 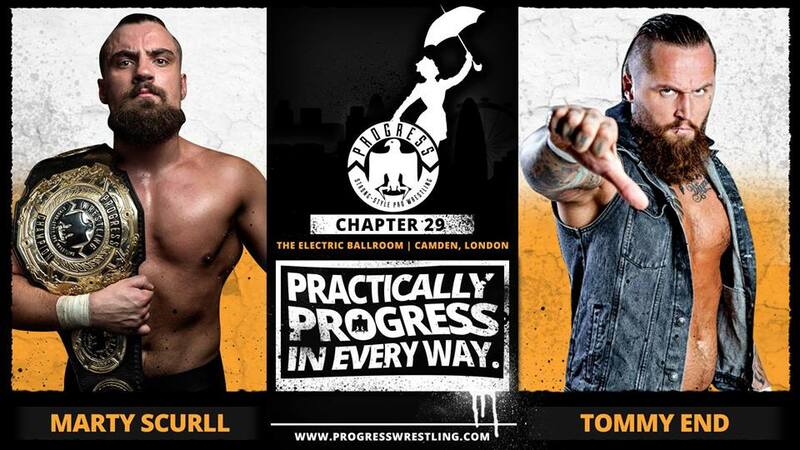 The main event this Sunday shall see Marty Scurll face Tommy End in a rematch from Chapter 28. The big difference this time is that Scurll's PROGRESS Championship will be on the line. At Chapter 28, Scurll refused to defend his championship. However, PROGRESS ensured that 'The Villain' did compete as he was scheduled for an open challenge. When End answered, Scurll was not best pleased. He was even less pleased after End knocked him out and pinned the champion. Such a big win over the champion put End as the next in line for a title shot and he'll get it this Sunday. 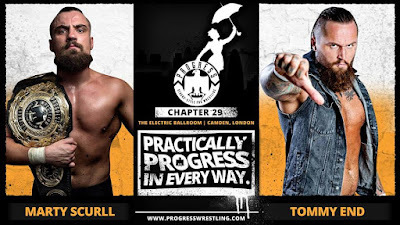 If their last meeting is repeated then End could be walking out of the Electric Ballroom as the new PROGRESS Champion.